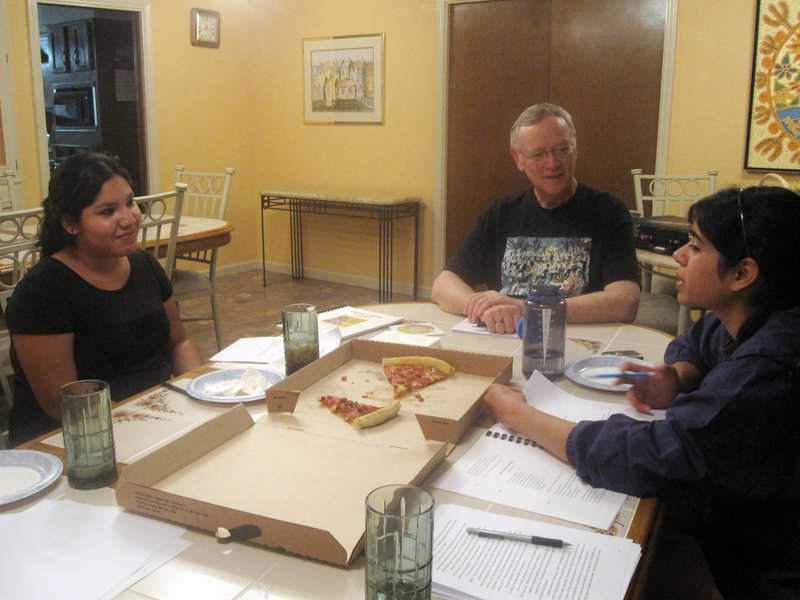 Brother Mike Sullivan gathered with a handful of St. Mary’s University students at Casa María to begin the process of writing lyrics for his second opera to be premiered in November. Brother Mike will compose the music while the students contribute lyrcis based on an unpublished manuscript written by Diane Gonzales Bertrand, writer-in-residence for the university’s English and communication studies department. His first opera, Caldo, Caldo, Caldo, which premiered in April 2009, also was based on a publication by Bertrand. This entry was posted on April 15, 2010 at 8:39 pm and is filed under Community News. You can subscribe via RSS 2.0 feed to this post's comments. Both comments and pings are currently closed.